National Insurance Contributions 2018/19 contains everything you need to know about this specialist area. 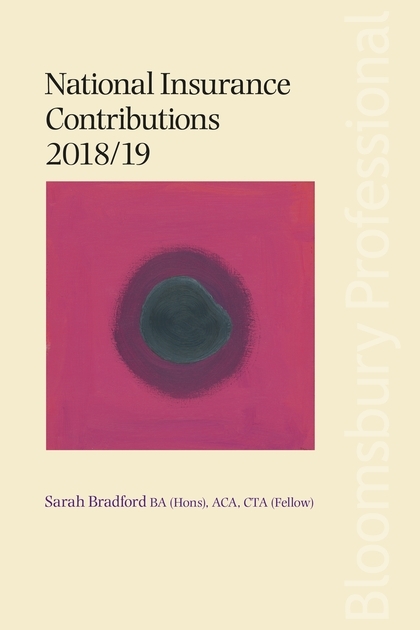 It outlines how and when contributions are due, how liabilities are calculated and what can be done legitimately to minimise them. This new edition covers the various contributions using a practical class-by-class format. Together with extensive cross-referencing and clear indexing, it enables you to find the answers to your queries quickly and easily. The clear layout and practical approach of National Insurance Contributions, together with its use of worked examples, make this book indispensable to accountants, employers, tax advisers and NIC specialists alike. Appendix 9 Which National Insurance tables to use?